« Still love the NHS? 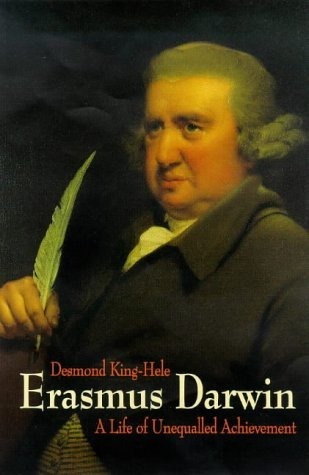 My next book review is on “Erasmus Darwin: A Life of Unequalled Achievement” by Desmond King-Hele which I reached via my former colleague, Athene Donald, you can read her review here. Erasmus Darwin (1731-1802) will always be best known as the grandfather of Charles Darwin. However he was a substantial figure in his own right. He was a doctor in and around Lichfield and Derby for his entire working life. By all accounts he was a good doctor, at a time when the medic’s tool kit was rather bare. Until quite late in his life he preferred not to attach his name to his work outside medicine, for fear of damaging his medical reputation. In his later years he wrote a translation of Linnaeus’ work on plant classification, a serious academic work – from which many English words describing the anatomy of plants are descended. This was followed by a series of books (The Botanic Garden, Zoonomia, Phytologia and The Temple of Nature) part poetry and part essay on nature and medicine. His poetry directly influenced Coleridge and Wordsworth; his fame, and regard, as a poet lasted into the later part of the 19th century but ultimately his style of poetry fell out of favour and, to a degree he sank into obscurity. I must admit I’m unable to determine the nature of the science / poetry link for Erasmus, poetry has always been something of a closed book to me. I don’t know whether poetry was more pervasive as a communication mechanism at the end of the 18th century or, at the time, poetry was a useful way to communicate science. Or whether simply by chance, both science and poetry fell upon Erasmus as they have done in the case of the author of this biography. Alongside his work as a doctor Erasmus was at the heart of the Lunar Society, a group of friends and industrialists including James Watt (steam engine inventor), Matthew Boulton (factory owner), Josiah Wedgewood (factory owner) and Joseph Priestley (chemist, preacher and radical). These men were at the heart of the Industrial Revolution. He was also friend, and doctor to, Joseph Wright of Derby – famous for his paintings of industrial and scientific scenes, King-Hele argues that several of the figures in “The Air Pump” are modelled on Erasmus and his family. Erasmus developed a number of mechanical invention during his life, including the modern scheme for steering in a car (although developed at the time for horse-drawn carriages), a mechanical duplication machine for writing and a windmill with a vertical axis and, towards the end his life, agricultural machinery. There are even intriguing glimpses in his Commonplace Book of what looks like a gas turbine. Although many of these inventions appeared to function they did not catch on at the time, in part it seems because Erasmus was not passionate about their implementation (fearing for his medical reputation). It’s probably worth being a little cautious here: no doubt some of Erasmus’ inventions made it into real life but there is a big difference between a rough sketch in a notebook to a real, commercially viable device. It’s quite staggering the number of miles travelling Erasmus put in: 10,000 miles a year or nearly 30 miles a day, at a time before motor vehicles and even reasonable roads. 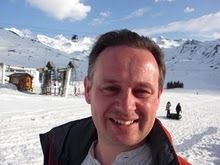 Miles travelled in support of his business as a doctor and in communication with his friends in the Lunar Society. This is where his ideas about carriage steering and suspension would have come from – he seems to have used a combination of light carriage and horse to get about. Alongside medical publications in the Philosophical Transactions of the Royal Society, Erasmus also presented papers on atmospheric physics, and on the operation of artesian wells (he was friends with the geologist, John Hutton) and as commented above, his poetry was published with lengthy scientific essays. Ultimately Erasmus Darwin’s science has not made it down through the years to us, this is largely because he put some fine thinking into a wide range of scientific areas, and in many cases was shown to be right, but he didn’t follow up those ideas with experiments and a more complete theory. Personal scientific renown is a fickle thing, it’s based on a desire to pull out “great figures” from history, rather than recognising the more collaborative, incremental nature of science. The Darwin family form a scientific dynasty: Erasmus, his son Robert (Charles Darwin’s father), three of Charles’ sons and his grandson Charles Galton Darwin were all Fellows of the Royal Society – a total of five generations. This highlights the advantages of birth as much as anything. Erasmus’ father Robert was a lawyer which was no doubt how Erasmus could afford to go to Cambridge and Edinburgh for his medical education. And so to the next generation where Robert (Erasmus’ son) gained entrance to the Royal Society on the basis of a thesis possibly written by his father; next up Charles Darwin who was able to devote his life to science through the wealth generated by his father and marriage into the wealthy Wedgewood family. This is not to reduce their achievements but to highlight that they had both ability and environment on their side. Politically Erasmus was a bit of a radical: anti-slavery, pro-(French) Revolutionary and supportive of an independent United States of America. He appears also to have been pretty close to being an atheist. King-Hele argues this caused him trouble in his later years when the government-led backlash to pro-revolutionaries struck, reducing his reputation as a poet. His, more radical, friend Priestley’s house was attacked by a mob in and he ultimately fled to the US to avoid persecution. Charles Darwin took an enormous length of time before publishing “On the Origin of Species”, this wasn’t time wasted but spent in making many detailed experiments. Looking at his family we can perhaps see why he took so long about it: his grandfather, Erasmus suffered considerably opprobrium for his atheism and evolutionary ideas, Robert, Charles’ father, no doubt shared these ideas but kept quiet about them. In contrast to many of the scientific figures I have read about, Erasmus Darwin sounds like an excellent friend and stimulating dinner guest. King-Hele’s biography is perhaps a little effusive about its topic but its very readable and well-sourced. Erasmus and I share a birthday, albeit his falls much earlier than mine. As a result I have always been interested in his life and times. Throughout life I was deeply and profoundly affected by my relationships with both my grandfathers, as I am sure Charles was with his. For good or ill, that is where interests are born. I have been meaning to get this book, but no one I knew had read it. Thank you for the review, I will have to pick it up between my thesis writing. Glad to be of service – I picked it up on someone else’s recommendation!